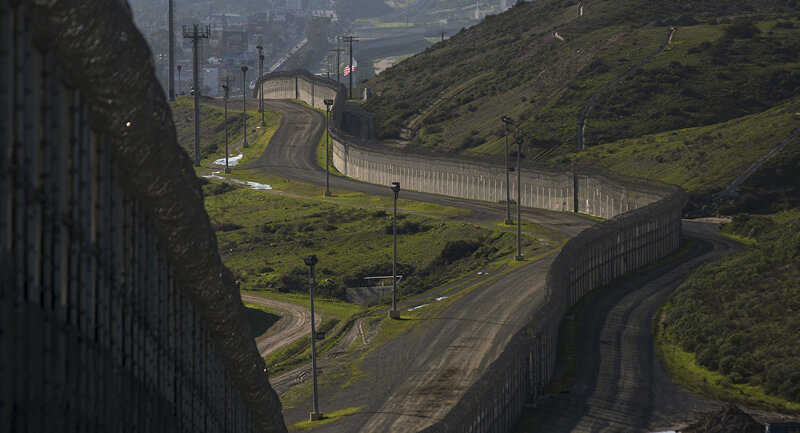 US border security won't get a significant boost if a wall is built along the country's southern land border, Mark Jones, chair in Latin American Studies and the Director of the Master of Global Affairs Program at Rice University in Texas, told Sputnik. 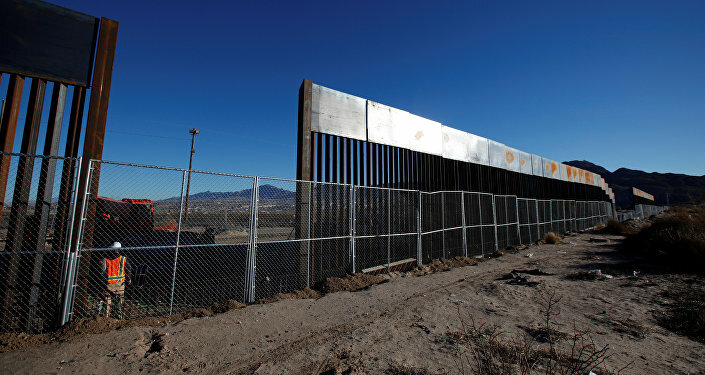 In an interview with Sputnik, Mark Jones, chair in Latin American Studies and the Director of the Master of Global Affairs Program at Rice University in Texas, expressed doubt that US border security would be bolstered by the wall that is due to be built along the Mexican border in California, Arizona, New Mexico and Texas. The interview came after US President Donald Trump ordered the construction of a wall along the country's southern border. The order was part of a series of actions aimed at stopping illegal immigration and cracking down on the number of refugees resettling in the nation. Trump signed an executive order mandating the wall's construction during his visit to the Department of Homeland Security on Wednesday. Speaking at the DHS, Trump said the US needs a physical barrier along the country’s southern frontier in order to take back control of its borders. During his election campaign, Trump promised to curb illegal migration by building a wall between Mexico and the US, adding that Mexico will pay for it. Meanwhile, Mexican President Enrique Pena Nieto delivered a brief televised message to the nation on Wednesday, saying that his country is not going to pay for any walls. Earlier, Trump said the border wall would cost about twelve billion dollars, but some estimates suggest it could be as much as twenty five billion dollars. However, at this stage, the real cost of the ambitious project still remains unclear. For comparison's sake, the US spent approximately 650 billion dollars on defense in 2015, according to CNN. Speaking to Sputnik, Mark Jones noted that "no country has been more negatively affected by the election of Donald Trump… than Mexico." He also drew attention to the current situation, when politically Mexican President Enrique Pena Nieto should on the one hand stand up against to Trump's decision on the wall's construction, but on the other – he can finally "cave in." Jones remained skeptical about the feasibility of the implementation of this costly project. "Minimum estimates put the wall's cost at about ten to twenty billion dollars, money that is not readily available right now. The US Congress has yet to authorize allocating funds for the wall, which will have a relatively modest impact on US border security," he said. "Another problem is related to the construction of the wall as such, which is easier said than done in terms of timing," according to him. Jones also ruled out the scenario of the wall prodding Mexico to withdraw from the North American Free Trade Agreement (NAFTA) signed between the United States, Mexico and Canada. "Mexico's economy depends on access to the US market and exports to this market and imports from there. Mexico needs the NAFTA agreement more than the United States does. So I don't see that that Mexico is walking away from it," he said. Jones warned of the far-reaching consequences of the construction of the wall near Mexico's border, something that he said may finally significantly damage US-Mexican relations. Earlier, Roberto Abdenur, former Brazilian ambassador to the US, Austria, China and Germany, told Sputnik Brazil that Trump's proposal to build the wall is "absolutely absurd." "It would be absurd to think that Mexico itself will pay for a measure which so negatively affects its interests. With that, they have gone too far," he pointed out.